It’s a French Hellcat and the image is from BIENVENUE SUR LE SITE DES ANCIENS DE L’AERONAUTIQUE NAVALE, which has a number of pics of various planes wearing French colors. The French Navy bought 124 F6F-5s and fifteen F6F-5Ns between 1950 and 1953. They were used by the 11F (ex-1F) and 12F combat squadrons, and by the 54S, 57S and 59S training squadrons. 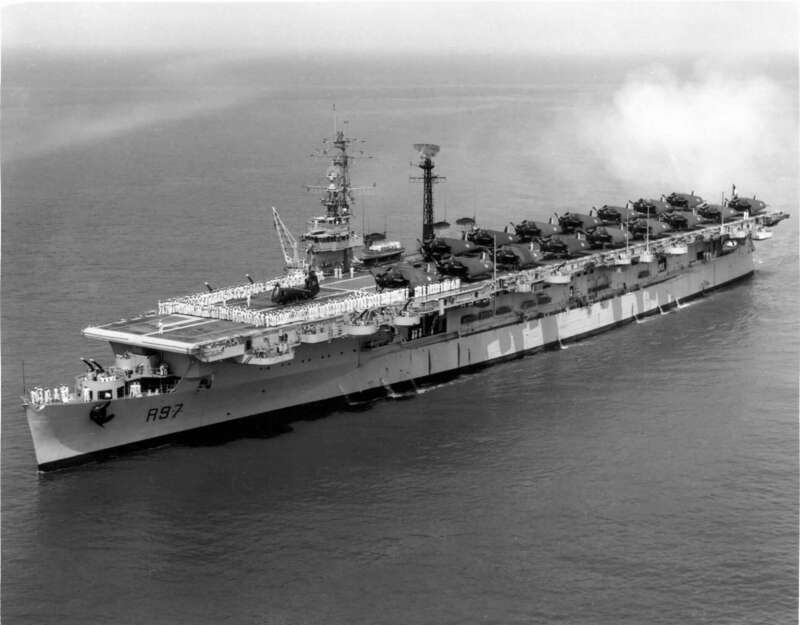 Those aircraft used to intervene over Indochina from various carriers such as CV Arromanches, CVL Lafayette and CVL Bois-Belleau. They were scraped in 1960. The Arromanches was the former HMS Colossus, the Lafayette was the former USS Langley, and the Bois-Belleau was the former USS Belleau Wood.